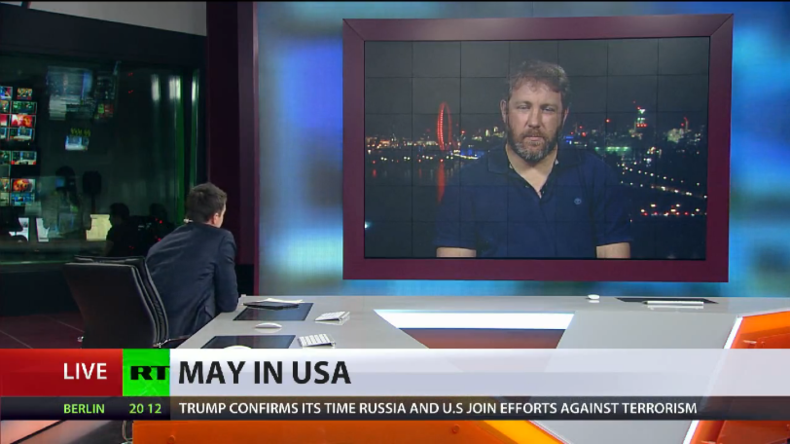 May made her US visit partly to reassure Trump of continued support for American interventions, says co-editor of BSNews Mike Raddie, while George Szamuely of London Metropolitan University thinks Trump’s “100 percent behind NATO” nod doesn’t mean a lot. 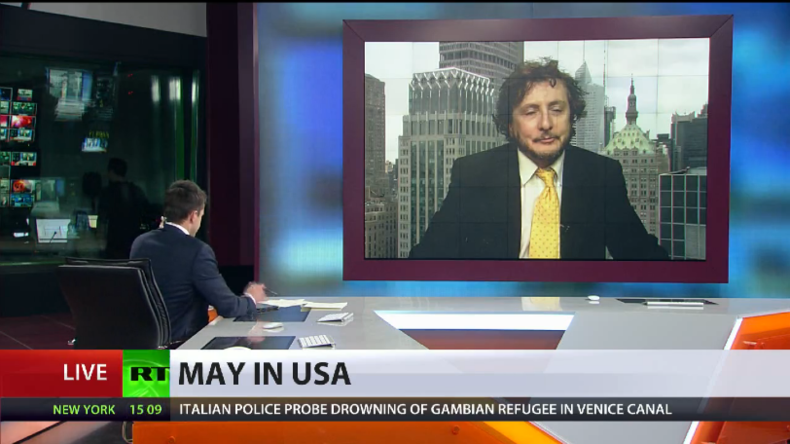 After British Prime Minister Theresa May and US President Donald Trump met in Washington DC, RT discussed the future of US-UK relations and the motives behind Theresa May’s visit with Mike Raddie, co-editor of BSNews, and George Szamuely, Senior Researcher at London Metropolitan University. UK’s May puts The Donald on best behavior… but who got the deal? 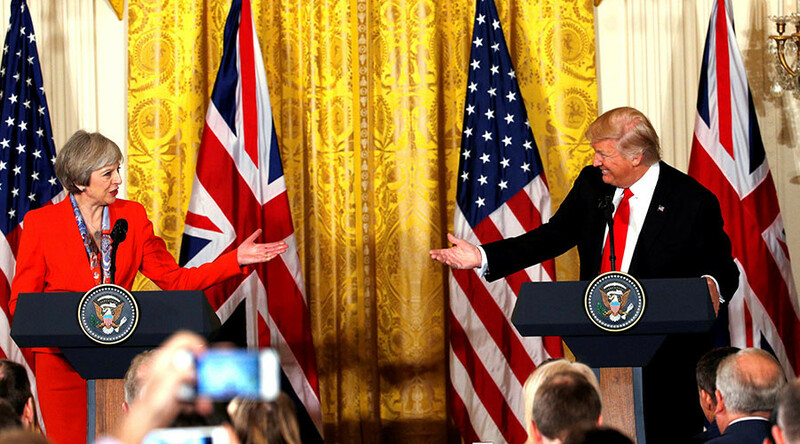 RT: Theresa May didn’t give a straight answer when asked if there were any misunderstandings between her and Trump. 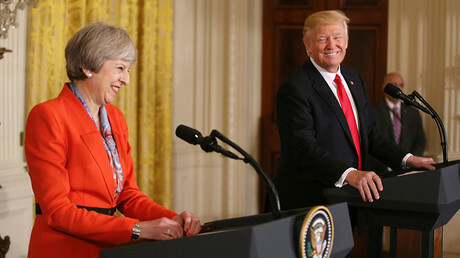 Do you think the prime minister is trying to conceal some key differences between the US and the UK at this current time? Is it her being smart diplomatically or will she be accused of being weak? George Szamuely: She was being diplomatic. Trump’s various statements were just the usual kind of diplomatic pullover. We know that there were differences between them on the issue of torture. He is personally in favor of torture. But his Pentagon chief is against it. So, he will defer to the Pentagon chief. When they came to NATO, she said Donald is 100 percent behind NATO and he nodded in agreement. This is standard diplomatic operating procedure. But that 100 percent behind NATO doesn’t really mean a whole lot. I would not read too much into anything that was said. RT: Theresa May said you should engage Russia but beware. Is this a softening in the UK’s stance on Russia, perhaps, echoing Donald Trump? GS: I think so. In her speech she was sounding much more like Donald Trump than she sounded like David Cameron or Hollande, or Merkel, or all of the other European leaders during the past few years. She was definitely trying to be on the Donald Trump’s wavelength. And she has to be, because now with the Brexit issue front and center in British politics, Britain needs to have something on the back burner as the alternative to the EU. And that alternative is obviously the US. So, she has to keep in to the best extent she can with Donald Trump. “But the main reason for her visit is to reassure… the new president that the British poodle in Downing Street is there, still on its lead, waiting to be pulled along. She may try and entice him to keep sanctions, but I think Trump may just decide he wants better relations with his Eastern neighbors like China and Russia and may decide to leave sanctions,” he continued. “I think the other part of Theresa May’s visit was also to reassure President Trump that there will be continued support for American interventions around the world. Although, she said interventions into foreign countries should stop, the next sentence, that was barely reported by the media, said that interventions ‘if they are in our interest’ will continue,” Raddie told RT.